Owning a home has become virtually impossible for many public sector workers across Britain, according to research published today (Sunday) by UNISON. The UNISON report Priced Out highlights how saving the money for a down payment on a property would take decades – or more than a century for public sector staff in some parts of London. This is based on first-time buyers being able to save £100 every month for a deposit*. The research focused on the salaries for employees in five jobs ­– an NHS cleaner, teaching assistant, librarian, nurse and police community support officer (PCSO) **. It calculated what multiple of their annual income they would need to borrow for a mortgage once they had paid a deposit. Across all nine English regions, Wales, and Scotland, it would take a minimum of 14 years to save the required deposit for a first-time buyer property, and considerably longer if house prices continue to rise, says the report. However, in London it would take between 132 years (in Kensington and Chelsea) and 35 years (in Barking and Dagenham) to find the money, and 32 years to save the necessary deposit in the South East. Priced Out shows that an NHS cleaner in London earning £21,786 a year would need to borrow on average 16.5 times their salary to secure a mortgage for a first-time buyer property. A teaching assistant earning £19,446 a year in the South East would need to apply to borrow more than 11 times their annual wage, and in the East of England a PCSO on £23,346 would need nearly 9 times their pay. Given that the Bank of England’s maximum recommended lending limit is 4.5 times a person’s salary, Priced Out shows that a mortgage is completely unattainable for an NHS cleaner or a teaching assistant in every part of Britain. For a PCSO, the North East is the only region where a mortgage and owning their own home is a possibility. A librarian or a nurse could only do this in the North East or Scotland. The report shows that the housing outlook is bleak, with house prices predicted to grow faster than wages until at least 2022. 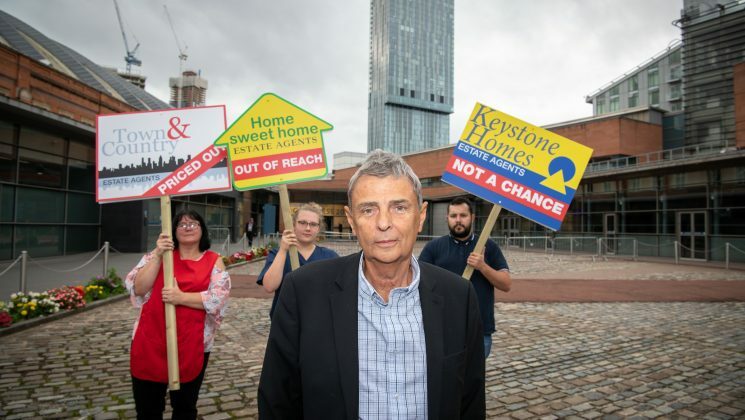 Commenting on the Priced Out report UNISON general secretary Dave Prentis said: “Owning a home is now little more than a pipe dream for most public sector workers. – ** The data is based on the starting salaries of a band 2 NHS cleaner and a band 5 nurse, and the most common pay rate for a teaching assistant and a librarian. For the PCSO it is the typical starting rate plus shift allowances. – London salary figures are based on the NHS high cost area supplement for inner London, the inner London weighting and fringe area allowance for local government jobs, and the PCSO (including shift and location allowances) pay rates as published on the Metropolitan Police website. – Scotland pay rates are different for a nurse and a librarian. In Scotland the nearest job to a teaching assistant is a classroom assistant, again on a different salary. There is no equivalent job to a PCSO in Scotland, so the study uses the salary for a police custody and security officer. – The UNISON report Priced Out is available here and contains a full regional breakdown of the 377 local authority areas covered by the research. 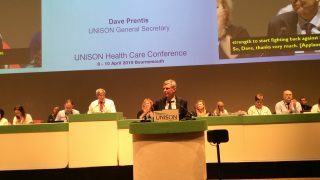 – UNISON general secretary Dave Prentis will be taking part in a photo opportunity with public service workers at the 150th annual TUC in Manchester on Sunday 9 September at around 1.30pm. Further information is available from the press office.